The president wants to pursue the deregulation many other European countries already implemented to improve their growth potential. 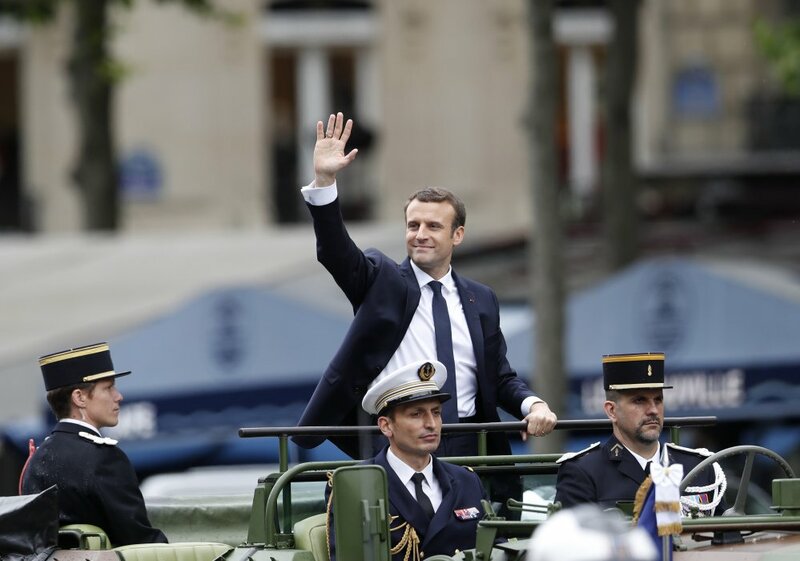 Emmanuel Macron has won the hearts of France’s business leaders, who are counting on him to push through radical reforms to sustain an economic recovery that’s been a long time coming. Confidence is at a six-year high, and executives have spoken of a brighter mood since the new president was elected in May, partly on hopes that he’ll help deliver the sustained robust expansion his predecessors couldn’t inspire. The Bank of France reported a better-than-forecast jump in manufacturing confidence on Wednesday, and said the economy could grow 0.5 percent this quarter. That’s higher than the 0.4 percent prediction in a Bloomberg survey. Separately, Prime Minister Edouard Philippe promised in a radio interview to focus on cutting spending and taxes that “hurt competitiveness” and government spokesman Christophe Castaner said planned protests won’t deter it from clipping protective labor laws. The president wants to pursue the deregulation many other European countries already implemented to improve their growth potential. While corporate leaders’ faith is providing impetus for change, he needs their view to spread as his narrow voter base exposes him to traditionally potent local resistance. Macron, a former banker, isn’t aligned with a major party and never held elected office before he was chosen amid record abstention. France’s success also has implications for the 19-nation euro area, where its second-largest economy has long failed to provide support, leaving Germany as the solo engine. Better growth would broaden the recovery and help an upswing which the European Central Bank is banking on to boost inflation. “There is definitely a better mood in France, a better level of confidence,” Frederic Oudea, CEO of Societe Generale, said in a Bloomberg interview this month. Macron’s plans to transform the tax credit known as CICE into a lasting reduction in employer contributions and cut the corporate tax rate will help boost profit by more than 5 percent for some companies, Natixis strategists Sylvain Goyon and Thomas Zlowodzki wrote in a note published Wednesday. The economy is enjoying its strongest continuous expansion since 2011 and the composite PMI remains elevated, even though it’s slipped for the past two months, signaling some softening. The benchmark CAC 40 Index has risen almost 6 percent this year, ahead of the Stoxx Europe 600 Index. As an adviser to former President Francois Hollande, Macron enacted steps such as $47 billion in tax credits. His toughest task may be overhauling labor laws. Disappointing job creation was among the reasons Hollande became the first president in half a century not to seek re-election.